There’s plenty of quality at the top end of the Championship this season with Sheffield United leading a clutch of teams giving Leeds a run for their money in the promotion race. Brentford – who where once the expected goals darlings of the division – look to be making a steady recovery from their mid-season hiccup, while Hull‘s renaissance looks to be stalling. Things are still looking pretty ugly for the bottom three, although Reading are showing faint signs of life. 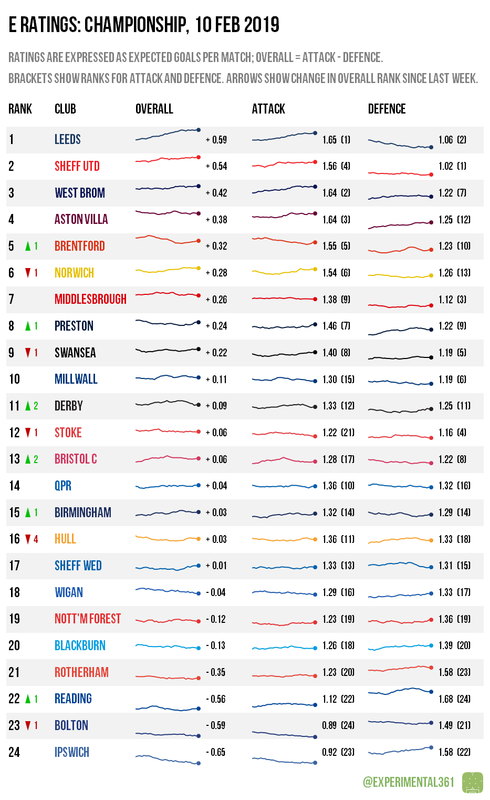 The automatic promotion race has splintered a bit lately, with Leeds and Norwich now leading the way while Sheffield United and West Brom are likelier to finish in the play-offs. 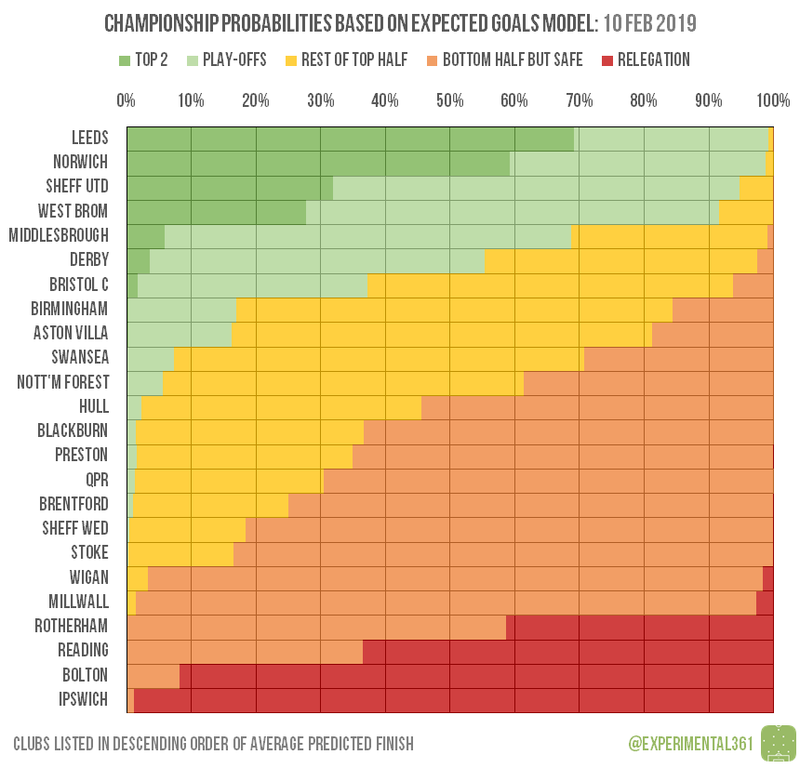 At the bottom it already looks like curtains for Ipswich and Bolton, but while Reading still look likelier than not to be relegated they could still overtake ailing Rotherham. Both sides keep drawing at the moment, so the first to rediscover the knack of winning will take a huge stride towards safety.